An eight-session course introducing the principles and practicalities of serving in the local church. So you're a 'hands-on' kind of person. You spend more time organising the chairs, finances and flowers than preaching and teaching. But the reality is, there's more to your job than mere practicalities. Every act of service that happens in a church contributes to the mission and ministry of the local church. It's what the Bible calls being a 'deacon' - a high calling for any Christian. 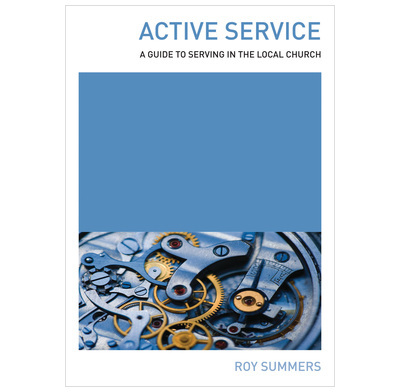 Active Service is an eight-session course introducing the principles and practicalities of serving in the local church. It helps 'deacons' everywhere to think through their responsibilities, not in terms of analysing to-do lists, but in terms of the contribution that's being made to the whole congregation. Exploring Active Service will help you clarify your calling, see how your heart affects your ministry and uncover how your ministry can affect the church, all to the glory of God. Study 1 - What is a deacon? Study 3 - What must a deacon be? Study 4 - What should a deacon do? Study 5 - How should a deacon serve? Appendix 1 - Deacons' wives or deaconesses?